The capacity of Metso’s Tampere factories will be increased and occupational safety improved with the new production line for Lokotrack mobile crushing plants. 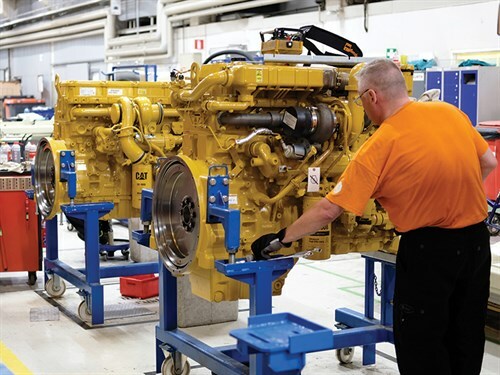 The investment of approximately one million euros will significantly shorten the delivery times of equipment models put into line assembly production. The construction work for the new line will start during the summer, and the first new Lokotrack equipment would come out of the line in Q1 2018. 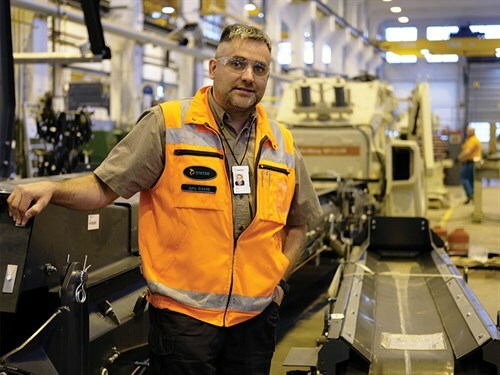 The Speedline 1 assembly line currently in use at Metso’s Tampere factory produces one Compact series mobile crusher weighing about 50 tonnes in each working shift. The new Speedline 2 line will increase the theoretical capacity by more than 30%. "The delivery times of equipment models implemented on a line assembly method instead of today’s fixed assembly method will be significantly reduced. At the same time, we will release plenty of space for assembling the largest crusher and Lokotrack models in fixed assembly locations," Juha Erkkilä, the project manager in charge, says. "Due to the increasing demand for track-mounted mobile crushing plants, heavier and more complex models, such as the LT120™, LT300HP/GP™, and LT220D™ will also be manufactured on Speedline 2 in addition to the current large volume models, such as the LT106™ and LT1213™." The renovation will improve the safety of both personnel and visitors to the factory. "The parts to be assembled can be better accommodated in the more spacious hall, which improves occupational safety. A new elevated gangway will also be built in the project, allowing visitors to view the operations in the factory more safely and fluently," Erkkilä says. Metso is the leading manufacturer of mobile crushers globally. Typically, mobile crushing plants are used by contractors, which is why the equipment must be capable of being flexibly moved from one production site to another. Metso’s Lokotrack series combines more than 30 years of experience in developing mobile crushing equipment with latest materials and ease of use. The Lokotrack® UrbanTM series, particularly suitable for use in densely populated areas and even city centres, was launched in early 2017. The new solution simplifies crushing operations, incorporates significant noise protection, and cuts dust emissions remarkably, minimising the impact for people living and working around construction sites. The manufacture of Lokotrack crushers has been concentrated to Metso’s Tampere factories, while there is also production in India and China. For more details, contact Mimico on 0800 141 422 or visit mimico.co.nz.